Looking back at the popular best bakes on Only Crumbs Remain during 2016. 2017 is creeping upon us and with that comes the excitement and anticipation of what the new year will hold. It’s also a traditional time to cast our minds back over the previous 12 months, allowing us to remember the highlights of 2016. So, with that in mind I thought it would be interesting to look back through the recipes on Only Crumbs Remain and share the 10 best bakes of 2016, according to statistics, but also a few of our personal favourites. So without further ado, here are Only Crumbs Remain’s Top 10 Best Bakes of 2016! In many ways, these bakes have been chosen by you, the reader, and so really are the most popular bakes! If you find yourself tempted by one of these recipes, just click the on the green recipe name! #10 Vegetarian Chicken and Leek Pie. they pretty! And they’re such a perfect bake for Valentine’s Day. Or perhaps Mother’s day, or even just because! before, I chose to ring the changes and use a different pastry. #8 Vegan Chocolate Orange Macarons. can be enjoyed by vegans and therefore be made without egg whites! the recipe and learn all about the miracle that is aquafaba! layer of caramelised onion chutney, which you can read about here if you like. of good vegetarian proteins: mixed beans, two cheeses, and chestnuts. caramelised onions, cranberries and seasoning. Every mouthful is different. And if all that wasn’t enough, its delicious both warm and cold, easy to make and looks inviting with the plaited pastry crust. It’s really no wonder it’s done so well in such a short space of time! good quality cottage cheese. 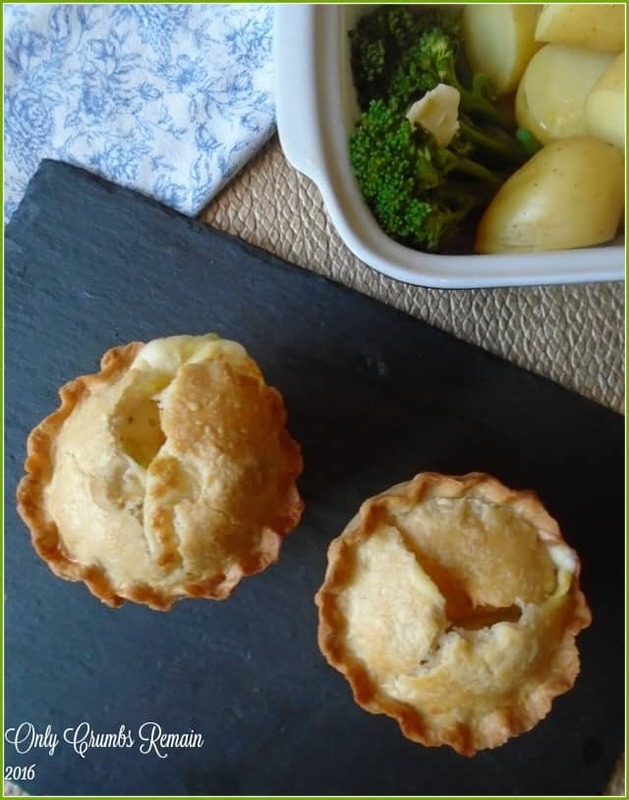 So, if you’ve never tried this easy to make regional Yorkshire bake, I encourage you to rectify that and give it a whirl! ? #2 Illusion Cake, with Jelly Beans. chocolate mascapone frosting before being finished with fruity jelly beans. Yum! And now for the top spot of Only Crumbs Remain Best Bakes of 2016………drum roll please maestro! So sitting proud as punch in my countdown is this amazing bread, which requires no-kneading whatsoever! This no-knead bread recipe has proved to be an incredibly popular post after sharing it back in April. Having seen Paul Hollywood make one on City Bakes, I knew I had to try out the concept of creating a loaf of bread without kneading the dough! Surprisingly it works really well. So much so, it inspired our No-Knead Rosemary & Garlic Focaccia. With the wholemeal flour included in the dough it’s a little healthier than the plain white counterpart. 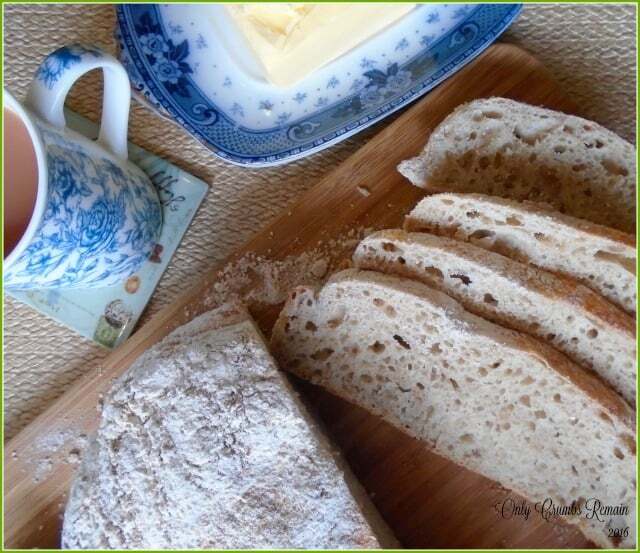 Not only is it a great homemade bread recipe for those with arthritis, and similar, but it’s also great for busy households who want to enjoy the aroma of homemade without the mess and effort of kneading! 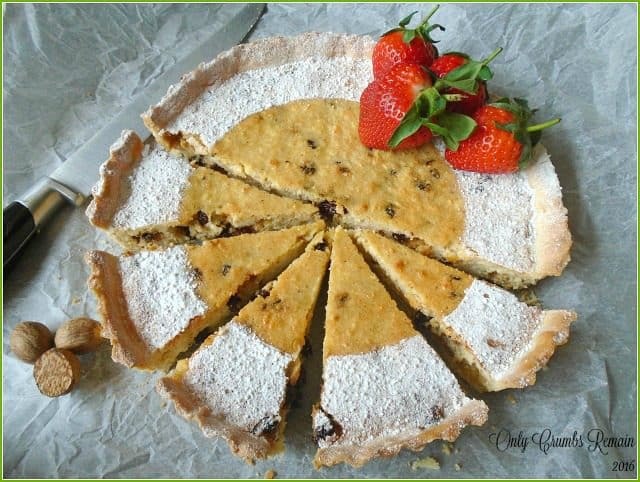 Thankyou Mandy, I have to admit that those Wensleydale Tarts were particularly scrummy!….and so easy to make! Thanks for continuing to support Meat Free Mondays this year. Thank you Rebecca 🙂 I loved realising how easy those Apple Roses were to make – they're so effcetive! Aw thankyou so much 🙂 I'm so glad you enjoy the Bakes Bengal Curds as much as I. It's such an exostic name for an easy dessert which tastes just like cheesecake! Yeah! I'm so glad to hear that you've signed up Corina, it really does seem such a friendly, helpful and supportive group. What a lovely array of bakes Angela! I particularly love the look of your lemon mousse cake, it is so pretty. 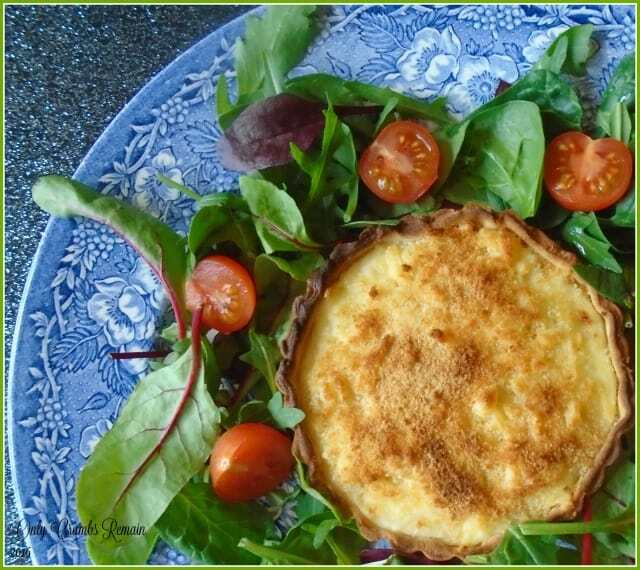 Your Wensleydale cheese tarts look so delicious too! Thank you Lucy. Those simple piped 'blobs' (for want of a technical word!) 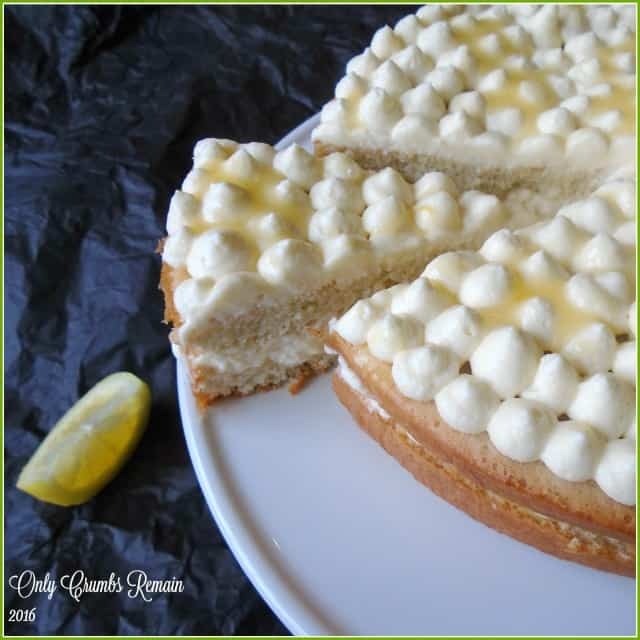 on the Lemon Mousse cake are so effective aren't they – and blinking easy to do thankfully. Ooh gosh, the Wensleydale tart is delicious, and even more so with a little onion chutney beneath the cheese filling!